There is no text in this download.You should go to google.com and click on books and then search "Gaston Maspero" or "History Of Egypt, Chaldæa, Syria, Babylonia, and Assyria" and you should find the material there and it is quite extensive.It's free and downloadable in a PDF format where you can convert to your Kindle. Lavishly illustrated with beautiful photographs and original plans, Damascus provides for the first time in English a compelling and unique exploration of a fascinating city. Damascus traces the story of this colourful, significant and complex city through its physical development, from its obscure origins in the Bronze Age through the changing cavalcade of Aramaean, Persian, Greek, Roman, Byzantine, Arab, Turkish and French rulers right up to the end of Ottoman control in 1918. 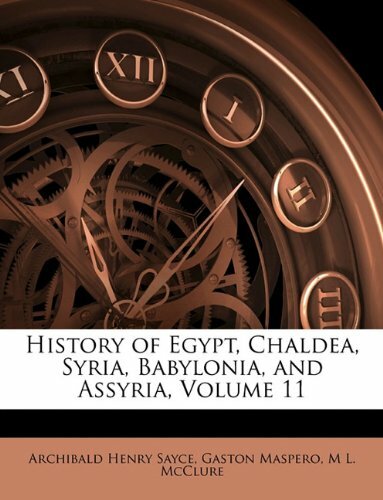 Examining how every layer of history in Damascus has built precisely on top of its predecessors for at least three millennia, this book looks at the detailed, and largely untouched archaeological record of one of the oldest continuously inhabited capitals in the world. The book is written with love by a person with superior knowledge of this marvelous city. 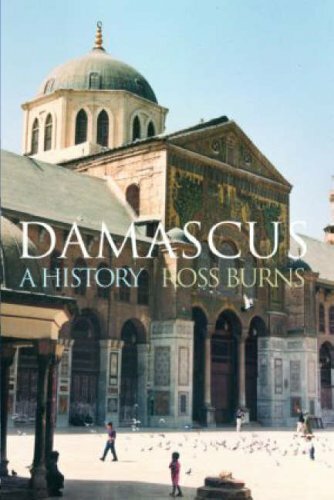 Completed by excellent maps ,it gives a very thorough description of how the city of Damascus evolved and changed in the course of centuries. Is Syria a rogue state? How important is it to the fates of Iraq, Iran, Israel, and Lebanon? 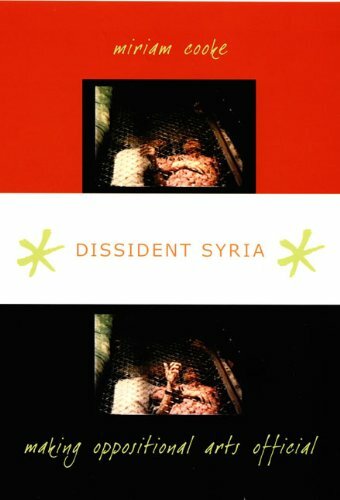 Based on unique and extraordinary access to Syria’s President Bashar al-Asad, his circle, and his family, this book tells Syria’s inside story. David W. Lesch presents the essential account of this country and its enigmatic leader at a critical juncture in the history of the Middle East. 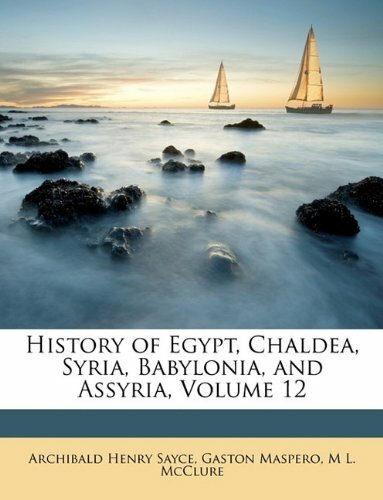 Syria has been called the crossroads of civilization for millennia. Lately, however, it is a nation more in the crosshairs than the crossroads. From the U.S. perspective, Syria is on the wrong side of history with respect to Iraq, Israel, Lebanon, the global war on terrorism, and the growth of democracy in the Middle East. Bashar al-Asad assumed the presidency in 2000 after the long reign of his father, Hafiz al-Asad, and soon encountered momentous regional and international events. Bashar’s efforts to integrate his country into this changing environment without being coerced have met with some success and some failure. The fate of Syria, very much tied to its young ophthalmologist-turned-president, will profoundly affect what type of Middle East emerges in the near future. David Lesch's access to the President of Syria is critical for this little understood country. This is a fine account and a must read for those who need to know more about this strategic country in the Middle East. I am still taken aback and quite frankly a little confused by the lengths to which Prof. Lesch goes in an effort to defend the Assad regime. Every description of some horrible event is followed up by a lengthy rationalization complete with a plethora of quotes from regime figures. I would expect analysis, but every analysis following some act that mostwould find repugnant is followed up some explanation that puts the regime in a positive light. What confuses me is how a professor from a US social sciences department can write something that would appear to have come out of al-Baath (one of the Syrian regime newspapers). Academics ought to be striving for the ideal of objectivity, however, he appears to be striving to become part of the inner circle. I keep picking the book back up again, due to my compulsion to finish a book that I have started, only to put it down again after becoming disturbed by his justifications of regime crimes. I would simply ignore the fawning and skip the regime quotes for the geopolitical sections, but I am simply too distracted by the extent to which Lesch has fallen for his subject. If you still don't believe that Lesch could be a Baathist, let me tell you that I bought the book at a book fair in front of the Assad library in Damascus back in September 2007. As in Seale and other Western intellectuals who take off to Syria to write a book there, the generosity and good treatment of the regime toward these people make them fall in love with the regime. You can tell from the very first page when Lesch was very much impressed when Assad replied to his emails. Needless to say, I couldn't finish this book due to the enormous amount of praise that Lesch hails on the young Syrian president, the Damascus Lion. All that is good in Syria came from Assad and all that is evil came from Syria's enemies in the West. 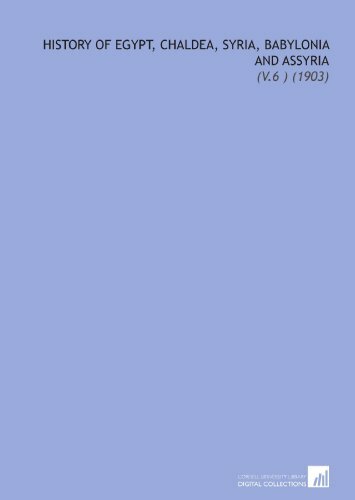 According to this book, the good-willed, kind-hearted Assad is sincerely planning to modernize and democratize Syria, had it not been for the Western anti-Syrian conspiracies that have so far thwarted all such attempts. What an analysis. Also like the reviewer EDowson (MD) wrote here before me, there is no information about Syria. Perhaps if the author had access to some numbers, like the percentage of people living in poverty while Assad and his group enjoy accumulating enormous wealth, or the number of years anti-Assad opposition figures have spent in the prisons of the Syrian regime, perhaps then Lesch would have changed his opinion a bit. Most important of all, when Lesch writes about the lack of democracy and the nature of the tyrannical regime in Damascus, he does so without even blinking. As if Syria is destined to live under dictatorship and that the dictator himself should be given the chance to renounce his unlimited powers and initiate change. Don't buy this book! I met Syrians of all walks of life when I visited the country earlier this year, and while I learned something from all of them I was especially appreciative of the few who were brave enough to give me a candid assessment of the regime there. This book isn't for everyone, or even for many. But for those (like me) with eccentric tastes who occasionally geek out on Christian arcana, this is about as good as you're going to get. 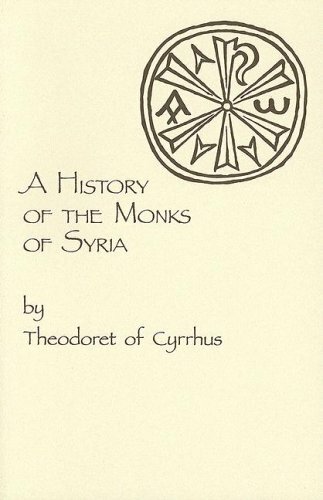 The book contains the lives of some of late antiquity's most extreme Christian ascetics, from men who dragged logs behind them everywhere they went to men (like the famous St. Simeon Stylites) who lived their entire adult lives on the tops of old pillars. You might need a bit of a perverse side to appreciate these stories without the modern prejudice against ascetic endeavor, because let's face it - the asceticism these men practiced transgressed many of the ways in which we value our bodies. Many of the stories contain miracles, which is fair enough. Strange to say, the story of St. Simeon, which is worth the price of the book by itself, and probably the most extreme of all the stories in the book (if not Christendom), has nothing of the miraculous in it. Daniel Pipes, the head of Campus Watch, is not an author to be trusted on any topics related to the Middle East. 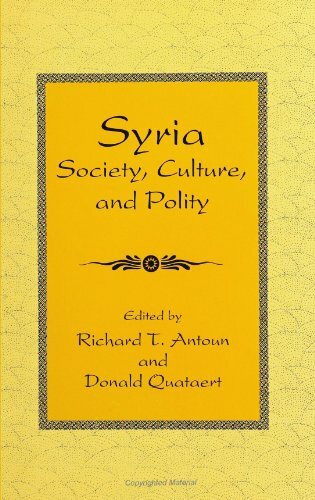 Because of the author's extreme anti-Arab, pro-Zionist stand, this book is further proof that Syria is greatly misunderstood in the West. This book is only worth reading to understand some of the neo-con illusions on the region. The book is highly recommendable. Its only flaw is that it does not expose the nazi ideological dogma of A Saadee or his party. 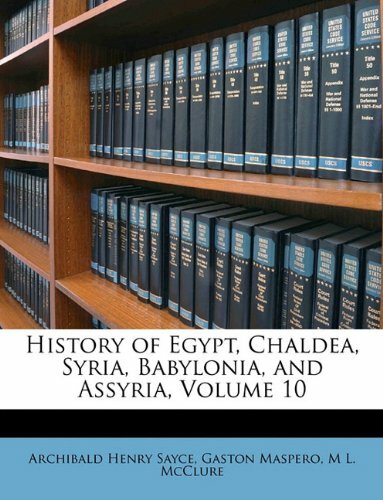 For anyone studying the Levant or the Middle East this book is a must have. 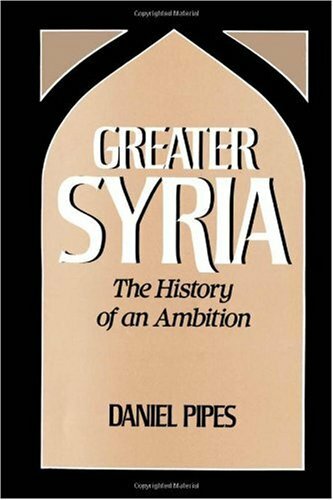 Pipes explains the Syrian ambition to have a Greater Syria which would include Lebanon, the Turkish province of Hatay/Alexandretta, the Hashemite Kingdom of Jordan, and the State of Israel. Daniel Pipes shows that Pan-Syrianism was not just some extreme idea with a small grouping of followers, for some time it rivaled Pan-Arabism. 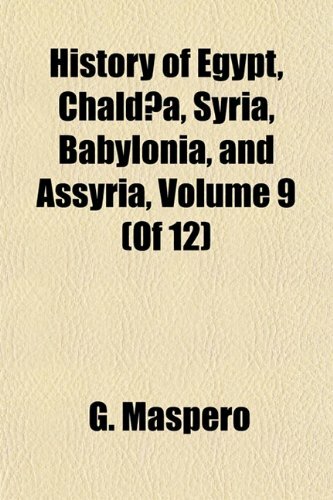 The book does an excellent job at interpreting the ideals and the undertaking of a "Greater Syria" from the Arab revolt of Sherif Hussein to Hafez Asad.In addition Pipes outlines in great detail the Pan Syrian ideals outlined by Antun Saada of the Syrian Ba'ath party and SSNP (Syrian Socialist National Party). Pipes does an excellent job in showing how Pan-Syrian ideals (whether carried out by King Hussein, Salah Jadid, or Hafez Asad) have led to countless wars (Lebanese Crisis of 1958, Lebanese Civil War of 1975-1990, the Syrian invasion of Jordan in 1970, and the countless wars with Israel [especially the Israeli War of Independence in 1948]). One finds that after reading this book you can't help but question what future effect on Middle Eastern politics Pan-Syrianism will have. How Does Pipes Get Published? It's just hard to take this author seriously any more.